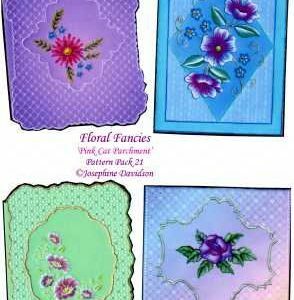 View Cart “Pattern 32 – Rococo Style Collection” has been added to your cart. 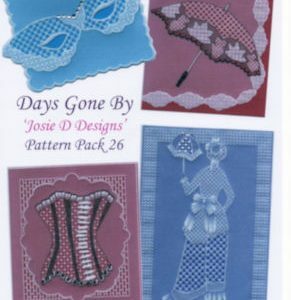 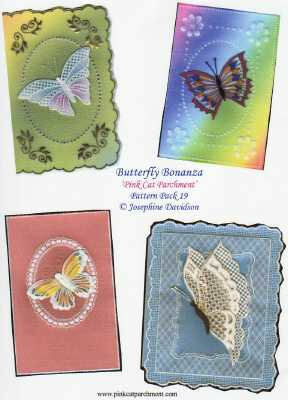 This pack contains the patterns and instructions for four butterflies and four cards all of which can be used together to create a wide variety of finished projects. 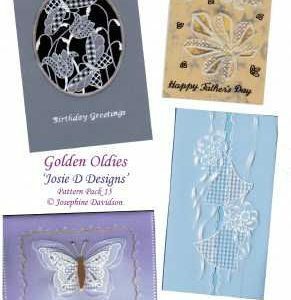 The butterflies range in difficulty with the simplest being embossed and coloured only to grid work on a fine grid and cutting the crosses with parchment scissors, all have a 3d element.